My teaching centers on democratic, inquiry-based learning. Students in my courses embrace the iterative process of producing knowledge, and they play an active role in their own education. I use the stories of marginalized peoples to push students to ask thoughtful questions about the past—and how it shapes the present. 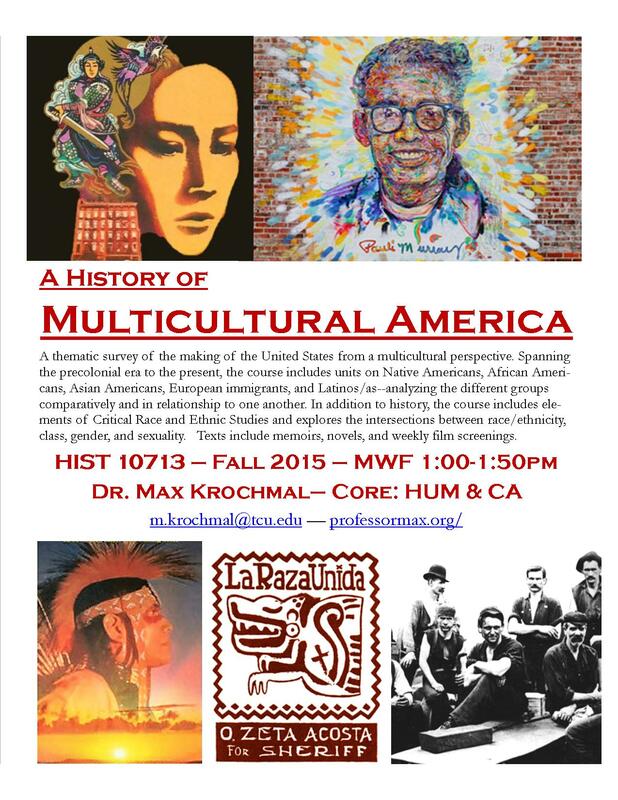 Most of my classes include community engagement, which teaches students about race and class in practical rather than abstract terms. 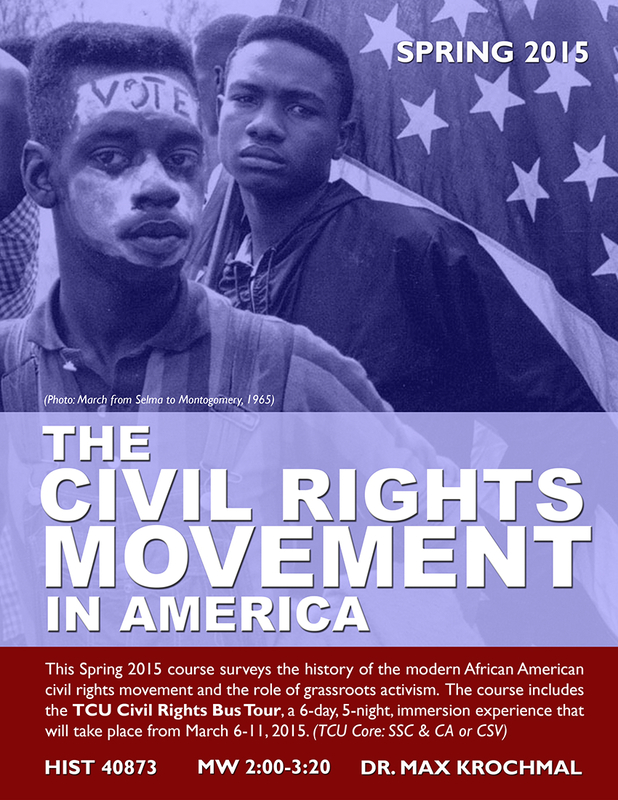 Experiential learning provides an invaluable introduction to social justice subjects. Yet it requires great care: in order to avoid field trips that exploit the conditions of marginalized communities, I build long-term reciprocal partnerships with off-campus collaborators, and I teach my students to do the same. 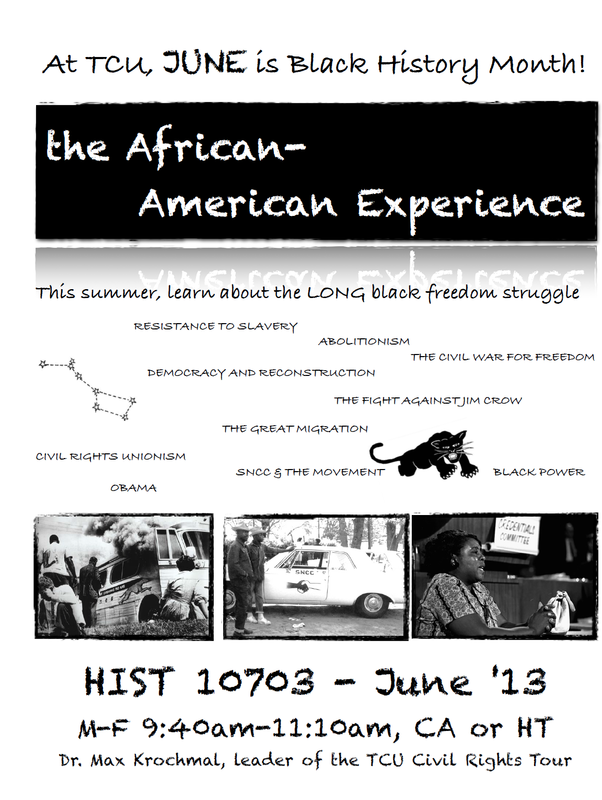 Students in my courses on the African American and Chicano/a liberation struggles, for example, interact with community activists, past and present, via the Justice Journey, an annual excursion that I developed in partnership with Student Affairs. 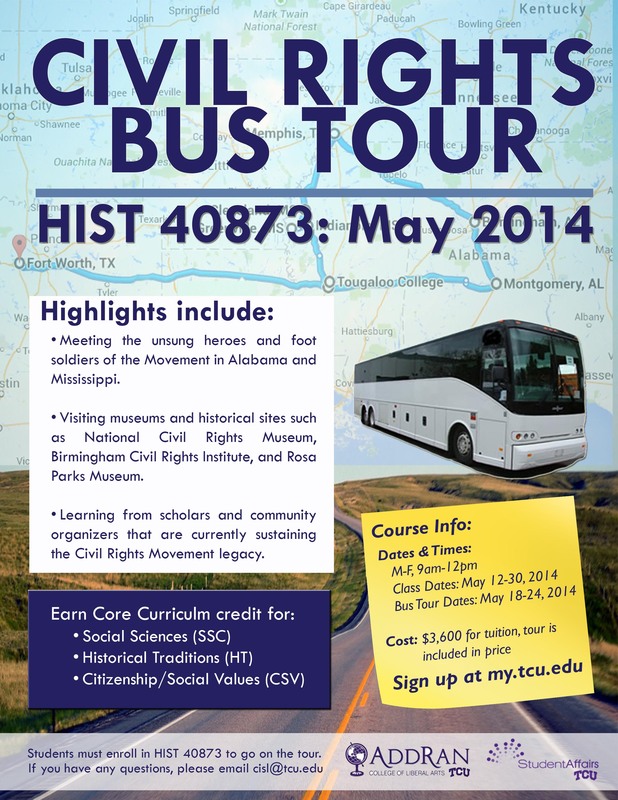 Traveling with veteran organizers shows students the larger, forgotten meanings of the civil rights movements. 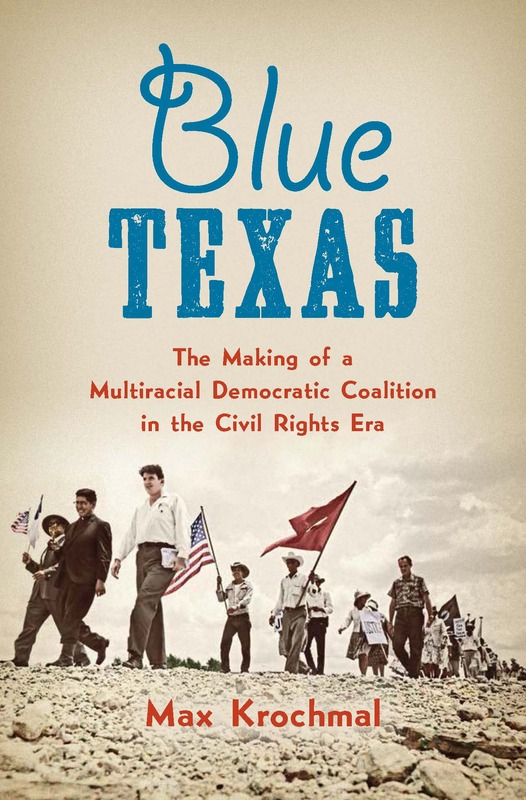 It exposes them to places like Greenwood, Mississippi—or Crystal City, Texas—where vibrant local campaigns overcame intense violent suppression, but the sustained presence of extreme poverty belies the familiar progress narratives. Students visit with sanitation workers in Memphis and farmworkers along the Rio Grande, learning firsthand how ordinary people built power for their communities. Students in my courses are also expected to remain actively engaged throughout the semester, particularly via long-term research projects. Early in the semester, I require students to complete frequent homework beyond reading (e.g., to turn in notes or a journal or response paper) and countless informal in-class writing assignments or oral presentations. Research projects extend this approach, turning students into creators of new knowledge. Prior to departure on the Justice Journey, I give students weekly writing exercises and then put them into small groups to investigate different sites related the tour. They complete a series of small scaffolding assignments that give me opportunities to provide feedback, helping me shape their inquiry through ongoing conversation. To address the challenges presented by collaboration, I devote class time to holding meetings with each group, and I facilitate seminar-style workshops among the entire class. 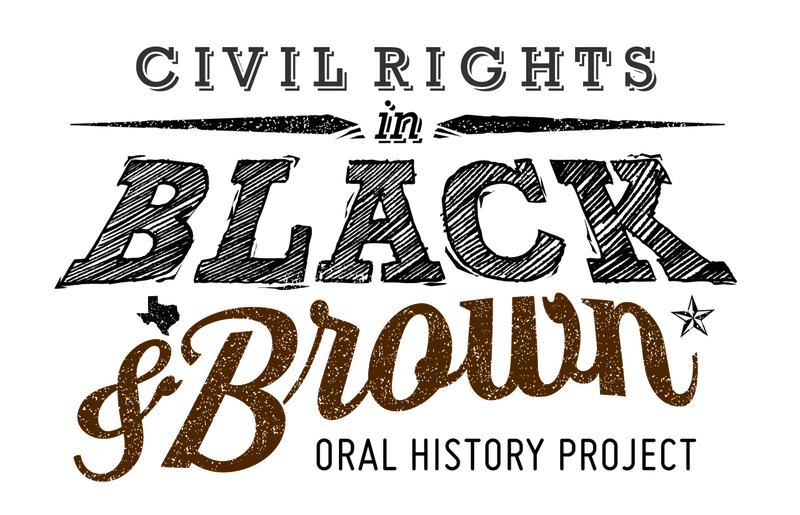 Working with archivists and community partners, I help students identify extant oral history interviews as well as rare documents from activist archives like the SNCC papers. I teach them how to locate secondary sources and how to chase down leads from the footnotes. After they’ve shared their findings with the class, students individually write synthetic essays interpreting the movement’s history. The papers become their “bus tickets,” required for travel. More important, the processes of inquiry and assimilating the results give them the necessary background information as well as the evaluative skills needed to ask meaningful questions of the organizers we meet. 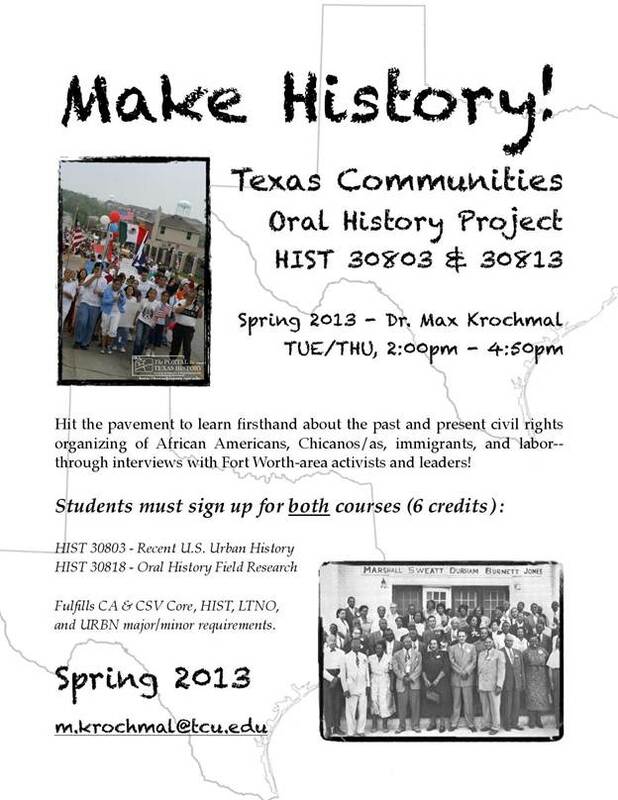 Students in my courses also apply what they’ve learned via civic engagement projects. The Justice Journey students return to campus and repeat the steps of conducting research, contacting local activists from my long-term networks and forming new partnerships for social change. Some students have registered young voters and launched new civil rights organizations, while others have hosted teach-ins, proposed curricular reforms, and created college access programs. Sustained community engagement, constant scaffolding assignments, a developmental approach centered on inquiry—with these methods, students in my classes not only learn about the histories of race but also produce their own enduring knowledge. In short, they learn how to apply the subject to their own lives and the world around them.